We can carry out your PSD layout into effective MyBB template with our PSD to MyBB theme conversion solution. MyBB is a free, open-source forum application boasting highly intuitive, extensible and unparalleled forum solutions. Get supreme command over the forum application by hiring our seasoned MyBB developers, also available on trial basis. MyBB forum is an open source and intuitive forum application that delivers incredible performance, when it comes to working. This application has got everything that requires being a perfect bulletin board. The application uses standard discussion board structure, which offers you great ease of use to both the ends. It offers highly-intuitive admin tool that helps you to easily manage and organize the logical sections including home, forums & posts, templates & styles, configuration, tools & maintenance, simple forum permissions, advance forum statistics and robust user management. Besides intuitive admin interface, MyBB offers robust plug-in system that easily helps you to add or modify templates, check updates & version compatibility etc. Unlimited no. of forums, threads, posts and members. Stick, unstick, open and close forum threads. Setup email notification for novice forum posts. We at CSSChopper offer complete MyBB integration solution. Our provided solutions are unparalleled in functionality and enriched with powerful features. We offer top-notch support at an affordable budget. We offer state-of-the-art integration solution for MyBB Forums by delivering highly intuitive admin and moderator control panel. We deliver great performance and highly enriched forum services along with friendly user interface. In total, our services are incomparable and lead to successful forum solutions. With the years of experience in web development industry, we are known for delivering fully satisfied end results. Our MyBB professionals are highly proficient in delivering remarkable PSD to MyBB theme integration services. We combine our skills and talent to handover successful MyBB bulletin boards that meet exactly the client's needs. Need more information about PSD to MyBB theme and to Hire Web Developer? Contact-us or Submit a request for PSD to MyBB Implementation. With displease, CSSChopper has decided to terminate this service in order to concentrate specifically on our other highly demanded services. MyBB is designed to deliver high performance with its user-friendly interface for both admin and users. We integrate advance template editor to experience the easiest customization for your forums that includes multiple stylesheet support, syntax highlighting, improved templates searching etc. This functionality lets you to easily add web videos to your posts, post and vote in polls, quote multiple posts in a single post etc. This functionality lets you to keep your forum maintained up to date such as cleaning old captcha images, updating most popular threads, sending out newsletters and emails and a lot more. 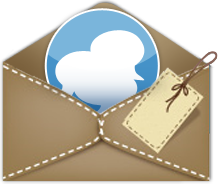 This functionality allows you to deliver mass emails and private messages to the users with smart features like track delivery progress, resend, send it now or send it later etc. Want To Dig Deeper Our Pro Bono Section! 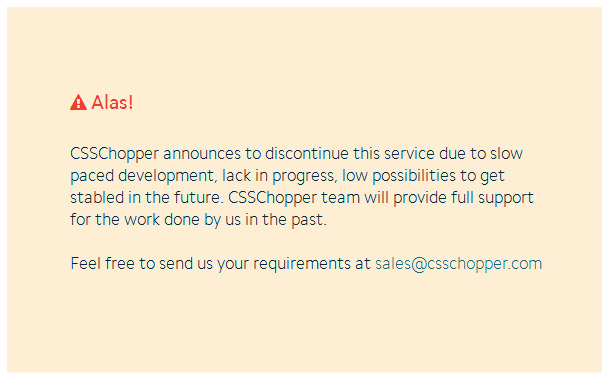 Rated 4.9 out of 5.0 for CSSChopper service by 10239 clients on over 15000+ projects. How good are you in mobile application development? Are all the stats on your website true? Is it possible to meet your representative in the USA?